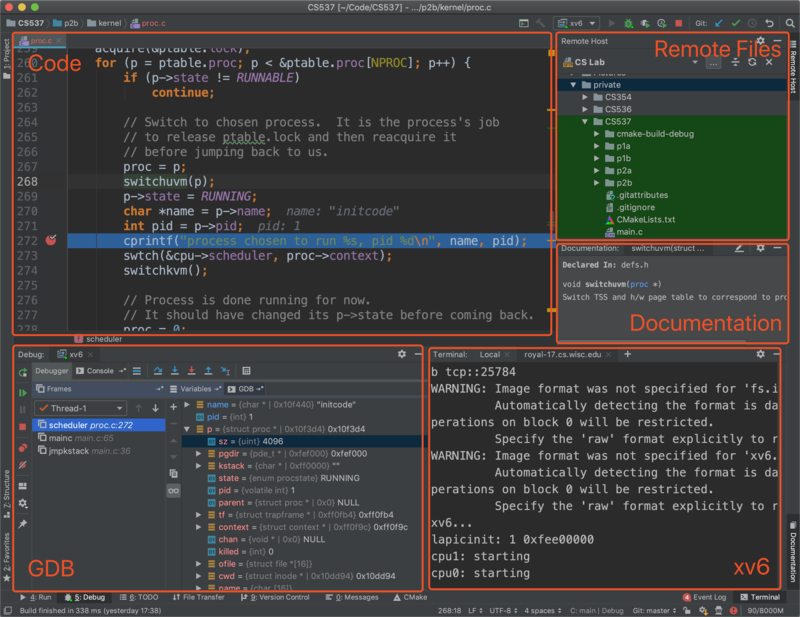 This tutorial will teach you how to debug xv6 remotely using CLion. 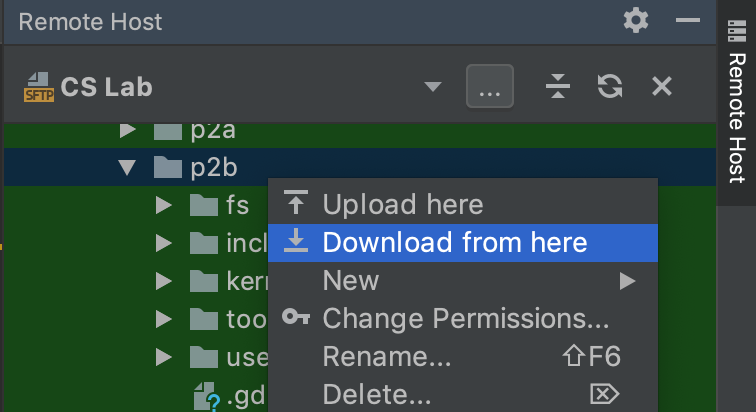 If you haven't installed CLion or haven't set up file synchronization, you can read my previous tutorial: Setting up Coding Environment for CS 537. This tutorial is specifically focused on debugging xv6. 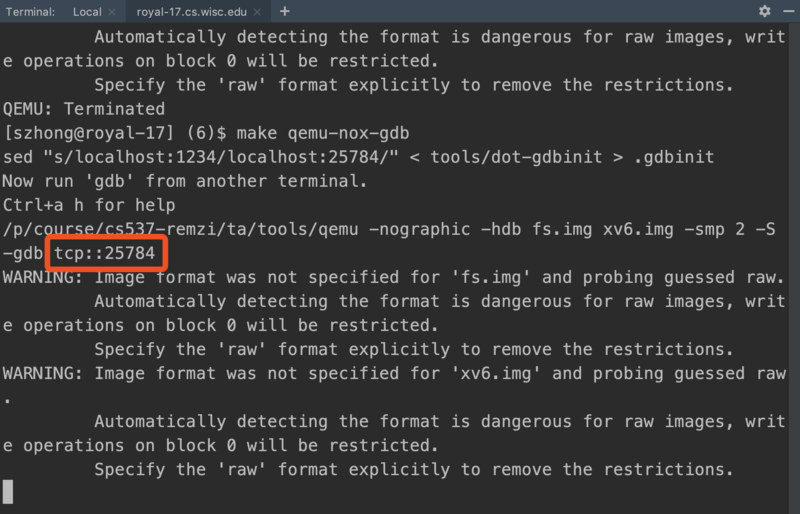 Since xv6 is running in QEMU (instead of a host machine), we have to manually connect gdb to the gdb server, which complicates the setup process. 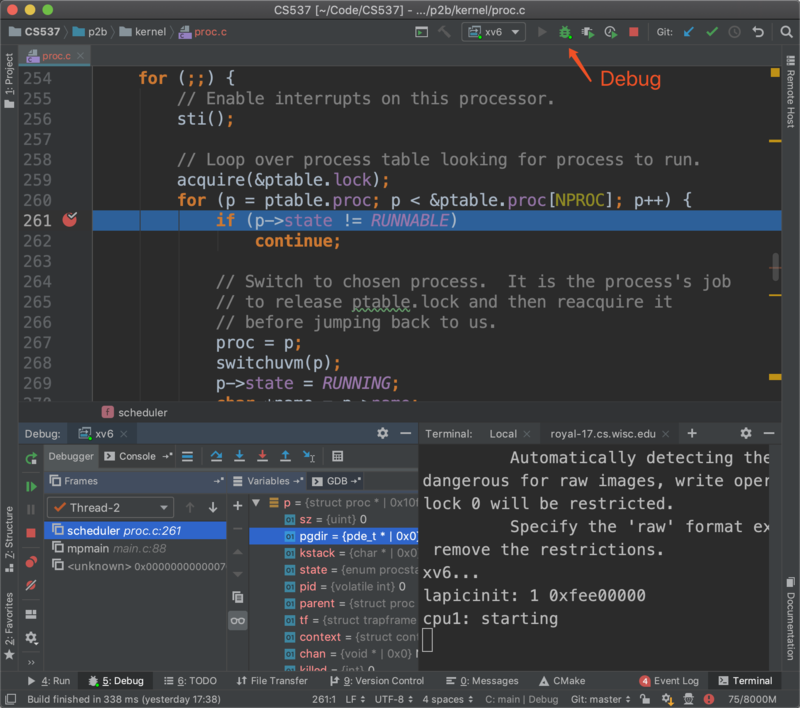 I have another tutorial about debugging general C programs here: Remote Debug and Execution using CLion. 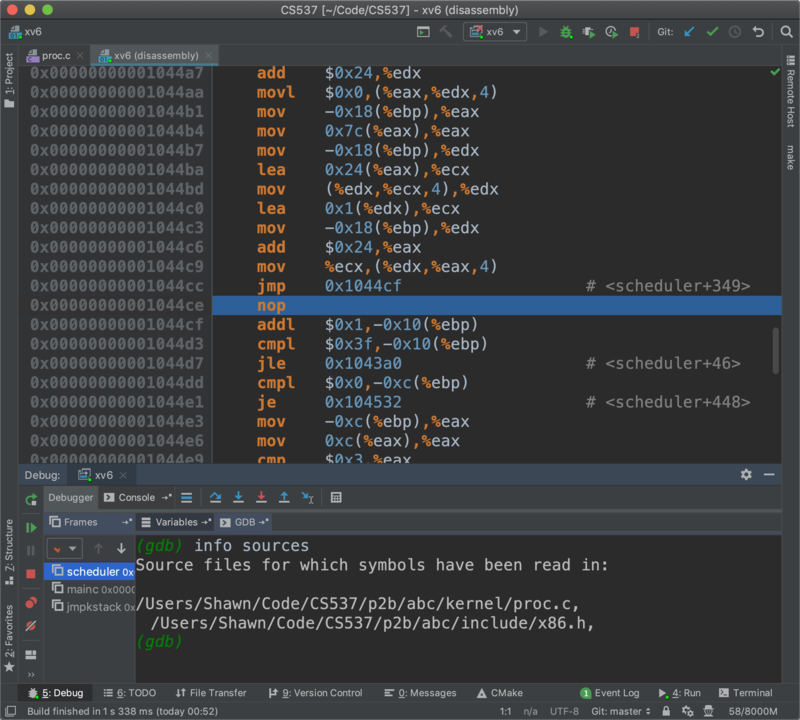 Prof. Shivaram has a great tutorial about using gdb to debug xv6 during the discussion section. You can find the recorded video on this piazza page. I highly recommend to watch the video first, but this tutorial doesn't require any prior knowledge about gdb. Note: You can skip this part if you are compiling xv6 on your local computer or you are already in the CS Lab. 2. Copy xv6 to your working directory on a CS Lab machine, build the source, and run xv6 in debug mode. 4. 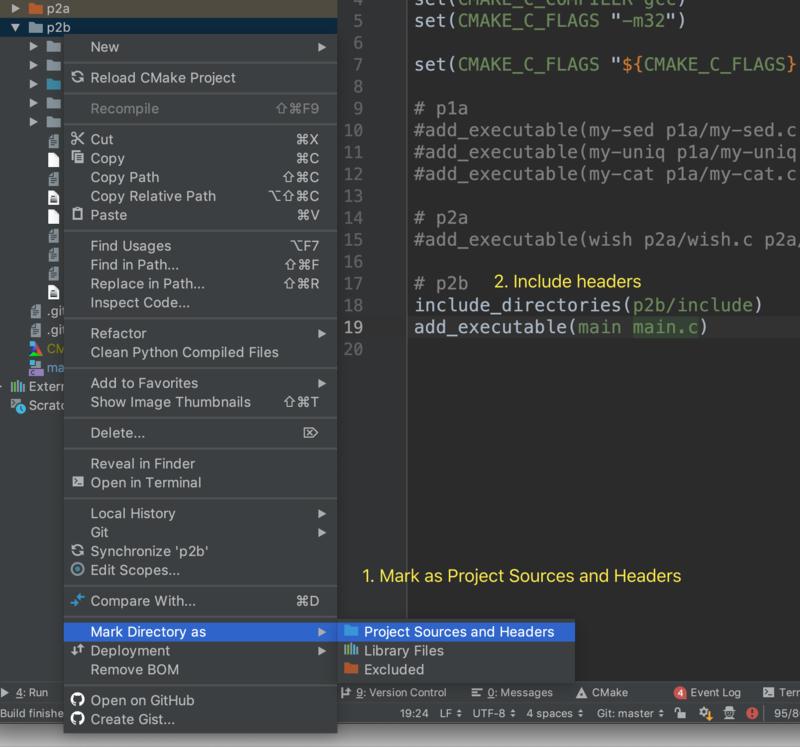 Open CLion and sync the folder to your local machine. Please refer to this tutorial if you don't know how to do this. 5. Open another terminal window, and use the following command to forward the port (recorded in step 2) on the remote server to your local machine. (This is called SSH tunneling or SSH port forwarding so that we can access the gdb server running on the CS Lab machine via localhost:<port> on your local machine) Note: Please leave the terminal window open at the background in the following steps. 2. Add new configuration of type "GDB Remote Debug"
For testing, let's create a breakpoint at kernel/proc.c:261 by clicking the space next to the line number (same as "b kernel/proc.c:261" in gdb). Click the debug button on the top-right corner. You should be able to see a debug tab open on the bottom left, which shows you the frames (same as "info frame" in gdb) and variables (same as "info variables" and "print <var_name>" in gdb). If the debugger doesn't stop at the breakpoint, please go to section 5: Troubleshooting. To create a conditional breakpoint, right click on a normal breakpoint to add the condition. 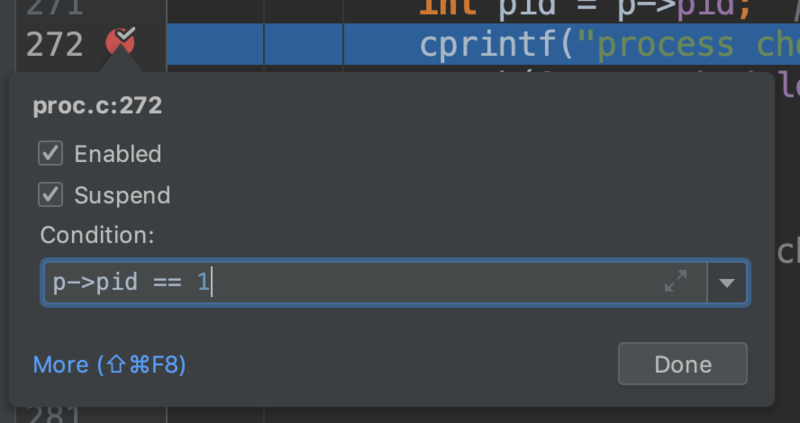 Once the previous step is done, you can press F1 on a function/variable to see the documentation. There is also an option for showing quick documentation on mouse move at "Editor - General - Other". 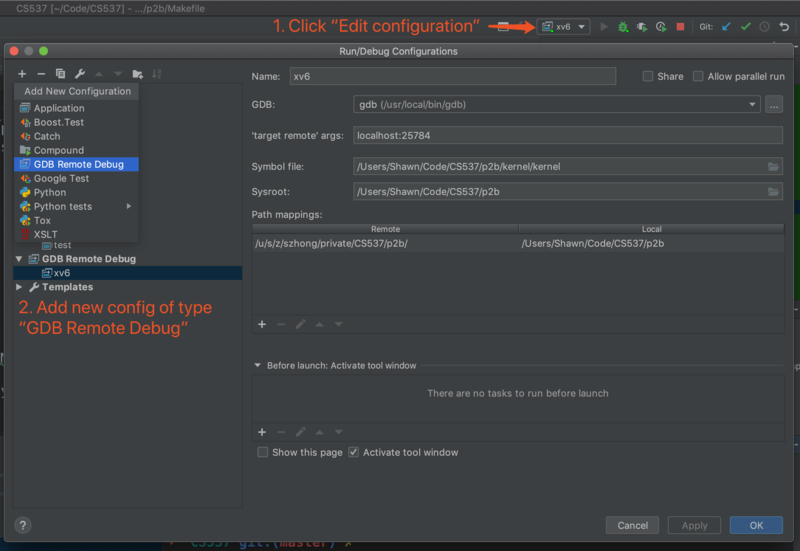 First, make sure that the debugger is connected to the remote server. 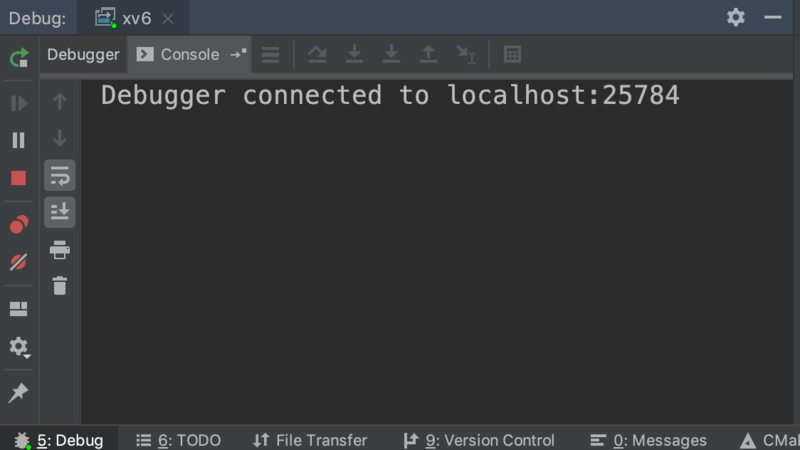 In the debug tab, you should see something like "Debugger connected to localhost:25784". If the debugger is successfully connected to xv6, but it still doesn't stop at the breakpoints, click the pause button at the left. If the debugger highlighted some code in the xv6 source folder, but the line number is wired, downloading the compiled xv6 from CS Lab server again should resolve this problem. This is because the symbol table on your local computer is not up to date after you modified the code and recompiled it on the remote server. If you got an xv6 (disassembly) window with commented assembly code, switch to the GDB tab and enter info sources. Make sure that the files can be found on your local computer. If you moved the xv6 source folder after compilation, try make clean and compile again.